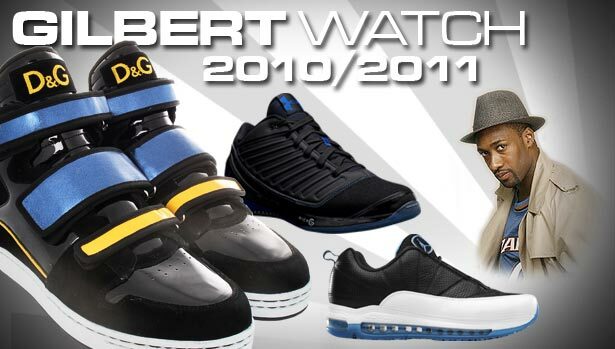 After launching his sneaker-themed microsite, Gilbert wears one of the most popular basketball shoes of all-time against the Heat. After proclaiming yourself to be the NBA's first true sneakerhead, you have to follow up by making a big footwear statement on the court. The perfect opportunity presented itself as Gilbert Arenas and the Orlando Magic hosted the division-leading Miami Heat on Thursday night. For Gilbert's first post-Sneaker Champ selection, he rolled with the royal blue "Penny" Foamposite One, made famous by his idol and former Orlando Magic guard Penny Hardaway. You can see the selection updated on his Sneaker Champ calendar. One thing about mocking the league's reigning MVP is that you have to be able to follow up the talking with a little walking. Instead, it was LeBron James walking all over the Magic, creating some 'picture perfect' moments on his way to a 51-point night. 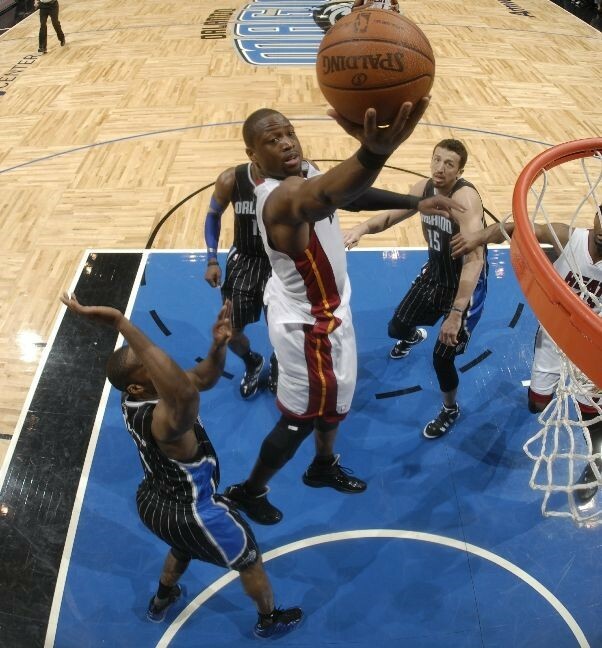 The Magic stormed back in the 4th quarter to make a game of it, but ultimately fell short as the Heat held on 104-100. Gilbert recorded 10 points, 4 assists and 2 steals on the night. Since most of the photographers were focused on the Heatles, there aren't too many good looks at Gil's kicks. We'll update this post with new flicks if we spot any.